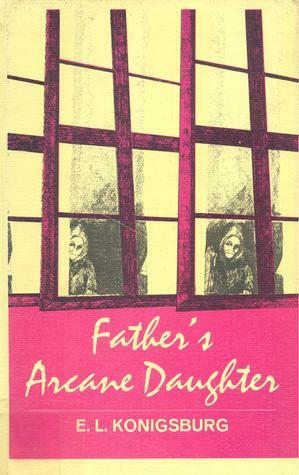 Father's Arcane Daughter was originally published in 1976. In 2008, it was re-released with a slightly altered title, My Father's Daughter. Heidi, to hide the fact that she has some disabilities, and his father, who has been married before, has a daughter, Caroline who was kidnapped as a teenager and is now presumed dead. The main action of the story takes place in the late 1950s, as Winston reflects on the September Thursday on which a woman claiming to be Caroline arrived on his doorstep. Each chapter begins with a snippet of conversation from the present-day 1970's, where Winston reminisces with a female member of his family who is not identified until late in the book. For such a short book, a lot happens in Father's Arcane Daughter. The main themes seem to be family dysfunction and repression, money and entitlement, sibling relations, overcoming disability, and most importantly, the question of whether Caroline is an impostor or a true member of the Carmichael family. Though this is a children's book, it doesn't feel like one. Rather, it seems like Konigsburg almost disregards her audience while she is writing, and simply remains true to the story, whatever that truth turns out to be. I could tell from this story that she really respects her readers - though she is writing about very adult issues, she doesn't dumb them down or over-explain them. She gives credit to children's intelligence, and assumes they are smart enough to follow along. While, this isn't my favorite Konigsburg book, it's the only one I've read so far in this little exercise that gave me a little thrill of excitement when I reached the ending. It takes a strange turn in the last 30 pages or so, which I think keeps it from achieving the greatness of Konigsburg's more famous novels, but it was still quite good. I also think, even though the book is dated, kids might be more accepting of it, because it is intended to take place during a very specific year, which is named early on in the book. It might not have been written as historical fiction, but I think maybe it can be read as such.